Columbus Brew Adventures is Central Ohio’s first brew tour operator. Building on the popularity of brewery tours and culinary tourism overall, we offer guided, personalized experiences of the city’s most exciting independently owned microbrewers, distillers and craft destinations. 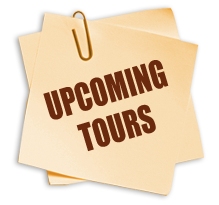 We also offer than just brewery tours, we explore historic neighborhoods, pizza, ghosts and more. Our company was founded by Columbus Food Adventures co-owner Bethia Woolf and culinary writer Jim Ellison in 2013. The duo are also co-founders (with Andy Dehus) of Alt Eats Columbus, Street Eats Columbus and Taco Trucks Columbus. Woolf sits on the boards of Slow Food Columbus and Dine Originals Columbus. Ellison is a former board member of the Central Ohio Restaurant Association, a trained wine judge and previously worked for two years for an economic development non-profit supporting and incubating small food based businesses throughout Central Ohio. Both are Experience Columbus Certified Tourism Ambassadors. Our guides are an interesting mix of people with a skill set unique to being a guide. All are passionate about local craft beer. Their day jobs and other interests include food blogging/writing, home brewing and more. All of our staff are trained to help you explore and appreciate more about craft beer, our rich history and what the community has to offer. Our tours earned the TripAdvisor Award of Excellence for 2016, 2017 and 2018!